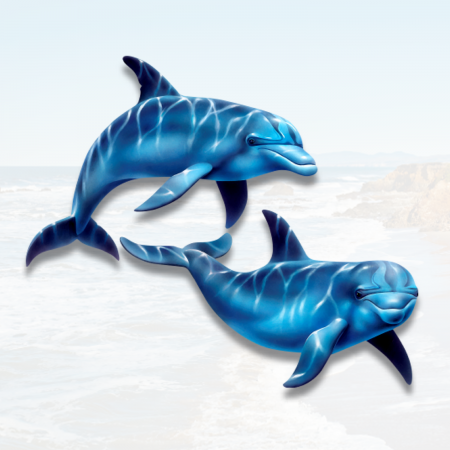 High quality Dolphins decal from Decalnetwork. Select from sizes. Contact us for custom size quotes. This is a great lookig full color Dolphins vinyl. This decal is cut to shape and has no background color or clear. Printed with UV inks and laminated with a glossy clear finish for a long lasting weather resistant our application. Vehicle windows, boats and more. It can be applied to any clean smooth surface for many other types of applications indoors.